The evening was all about Scottish produce and celebrated the Year of Scotland Food & Drink. One thing we love doing in Food and Beverage is functions. 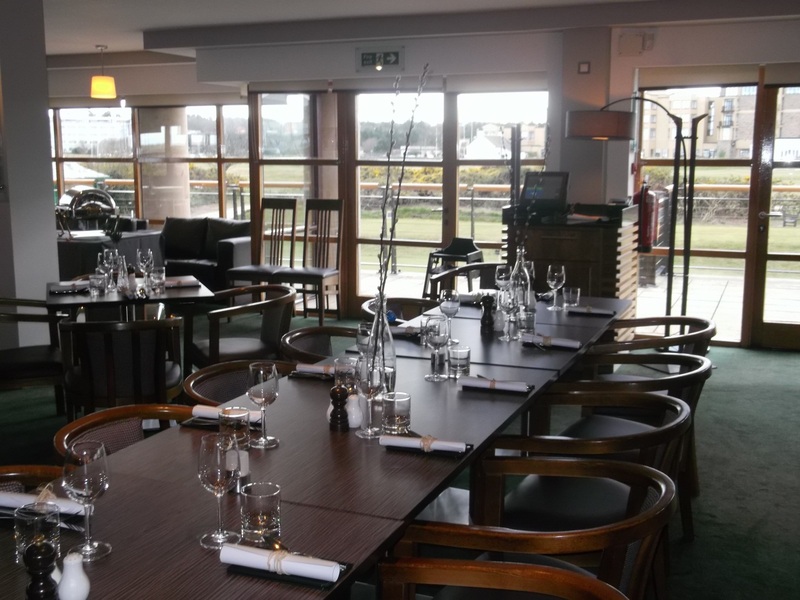 Last week we hosted a rustic Scottish evening event in the Swilcan Restaurant for our Global Partners, Allianz. 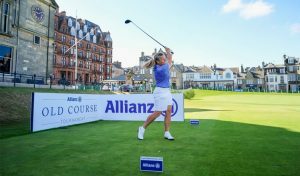 You may have noticed us mentioning last week that they were in town for the Old Course Tournament. The evening was all about Scottish produce and celebrated the Year of Scotland Food & Drink. 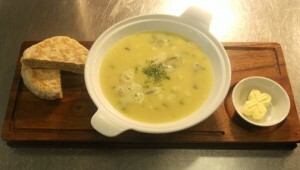 On the menu was the finest Scottish smoked salmon, Scotch beef, Fraoch heather ale and much more. Local supplier Eden Mills even dropped in to offer guests some of their delicious locally brewed gins. 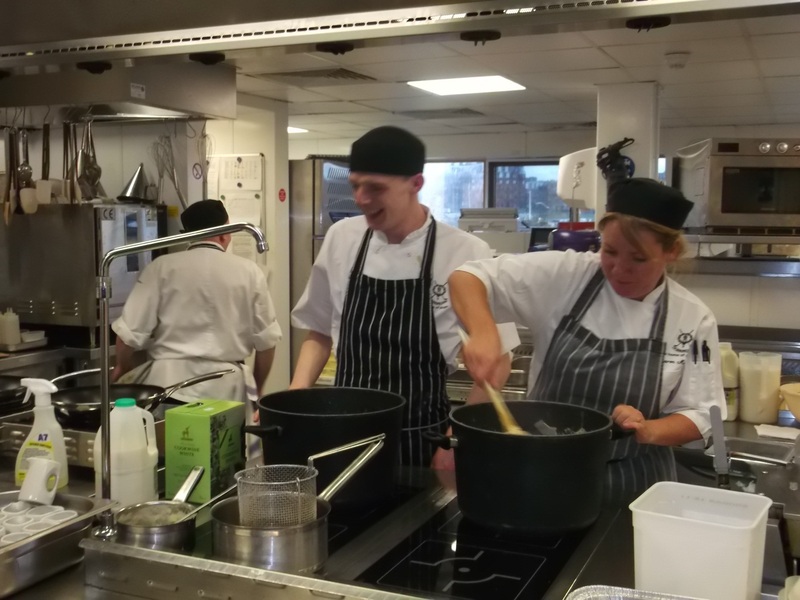 Preparations got underway early with Sharon, our head chef, and her team cooking up a storm in the kitchen. The dining room tables were beautifully set with polished cutlery and glistening glasses. 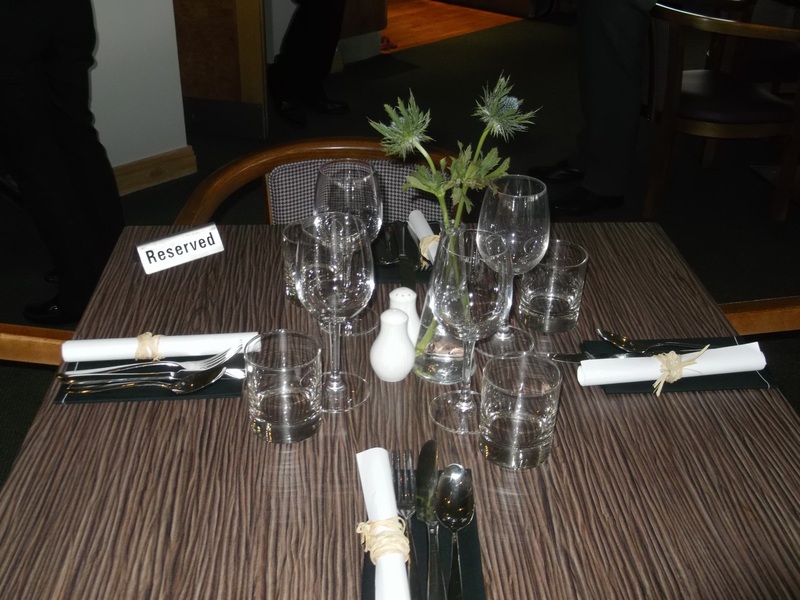 The Scottish menus were rolled and tied with hessian strands for that rustic feel. Table vases were filled with catkins and the trusty Scottish thistle. 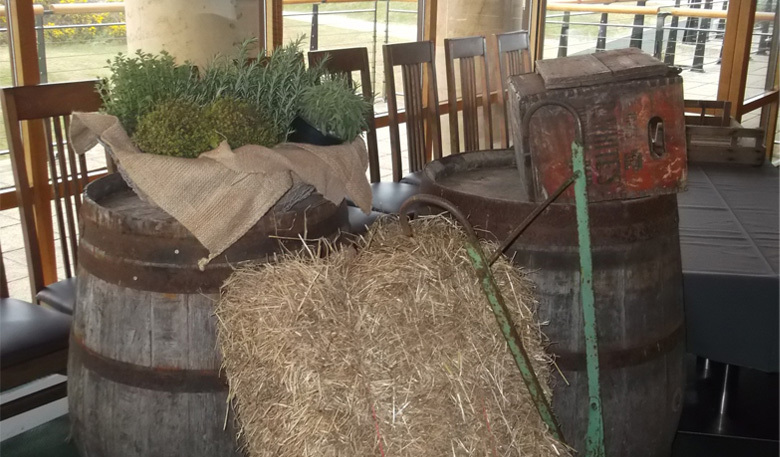 The rustic decoration was complete with artistically arranged bales of hay, whiskey barrels and lemonade crates (header image) kindly donated by our friends in the local farming community. 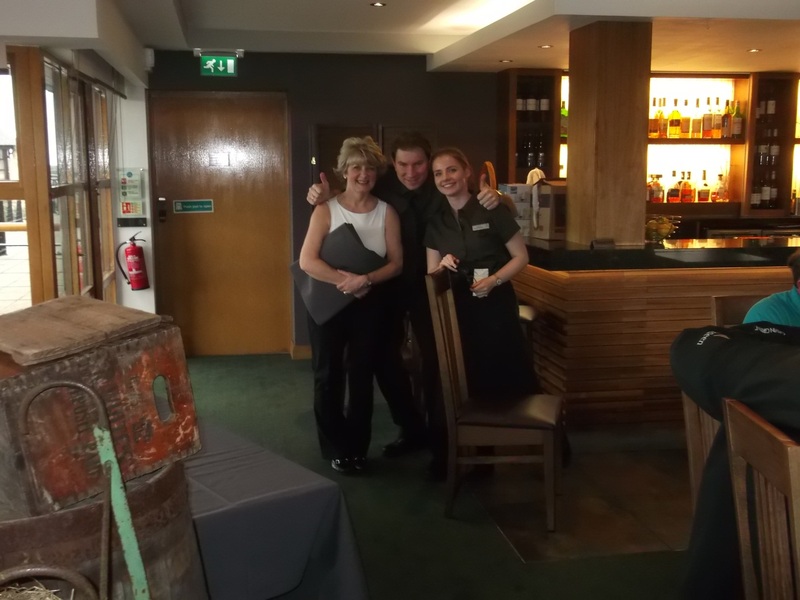 F&B Manager, Dorothy and the team give the thumbs up ahead of what turned out to be a fantastic evening of good food and entertainment for our Old Course Tournament guests.